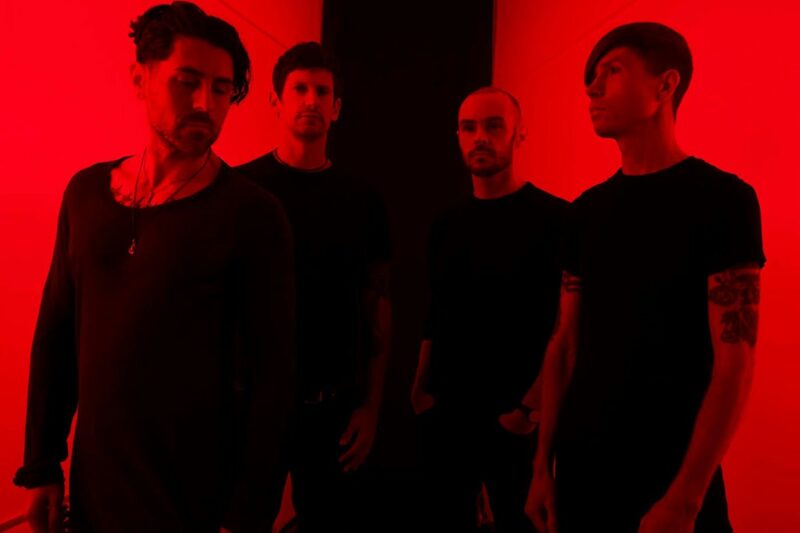 AFI Release New Song 'Get Dark;' Announce 'The Missing Man' EP - GENRE IS DEAD! Surprise! AFI have just released a new song titled “Get Dark.” And to make things even better, it’s the first track from their upcoming EP, The Missing Man (Ex Noctem Nacimur), out December 7. The EP was produced and mixed by guitarist Jade Puget. The song comes after the band posted a cryptic photo on their Twitter featuring all of the members except frontman Davey Havok. Listen to the song and check out the tracklisting below. To celebrate the upcoming release, the band will perform two shows in California on December 9 in Sacramento and December 10 in San Deigo. Tickets go on sale Friday, November 2. The Missing Man (Ex Noctem Nacimur) is available for pre-order now. Those who pre-order get an instant download of “Get Dark.” The EP marks the follow up to their 2017 album AFI (The Blood Album). Pingback:AFI Share New Song 'Trash Bat' From 'The Missing Man' EP - GENRE IS DEAD! Pingback:Watch: AFI Share Mysterious New Video For 'Get Dark' - GENRE IS DEAD!